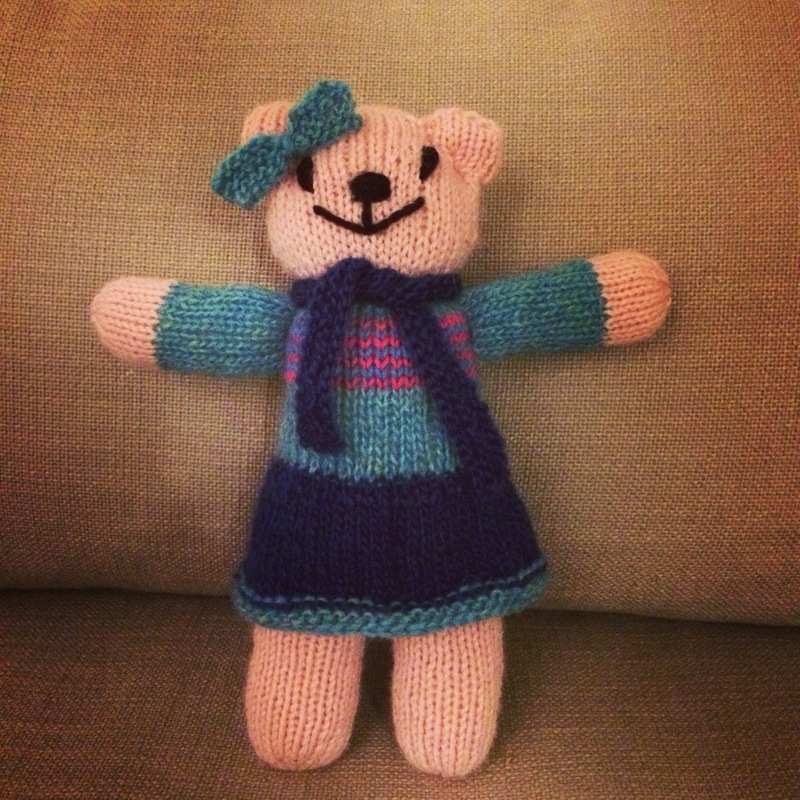 I reached my goal of 14 bears in 2014 for the Mother Bear Project! Here is #14 (#26 total), Zoe. My plan is to work on some other knitting/spinning/sewing goals for a while before getting back into bears, but I doubt I’ll take much of a break. The bears are fun and quick and bring such happiness. However, in my first 24 hours since finishing a bear, I have started the wee boy’s sweater and am nearly at the point of separating the arms, so that’s pretty nice!